Sanskrit-based education comprising Vedic sastras coupled with Pali corpus of knowledge and a vast literature found in Persian, Arabic languages became the core of Hindu-Buddhist-Muslim education till the rise of British empire. But this ancient syllabus (teaching methodology) in UP became decadent as it missed the advancements that were taking place in Europe during and after the Renaissance. Gradually during the British rule, the vast plains of Uttar Pradesh were pushed to social and educational backwardness due to long neglect. But corrective measures were initiated by the British officials by making liberal, universal education available through a network of schools-to-university system on European pattern. However, a real turning point came due to the efforts of educationists like PanditMadan Mohan Malviya and Sir Syed Ahmad Khan, who championed the cause of modern learning and supported British efforts to spread it. UP has a rich history of education and learning. Right from the beginning of the Vedic period UP was the chosen destination for all forms of education. Languages like Sanskrit, Persian and Arabic were first taught in this part of the country during the Gupta rule. Therefore, long before the British rule, Uttar Pradesh had established a name for itself as the education hub of the country. It was after the settlement of the British that the quality of education in the state witnessed a decline as the local officials and teachers could not match up to the western standards of education being followed in rest of the country. But the British can be credited for setting up a number of colleges and universities to promote higher education following the western pattern. The concept of an elaborate school and college education introduced by the British was carried forward by the state government authorities post-independence. Children and women education was promoted by the colonial rulers in India and ever since, the education system of UP has seen an uphill graph. According to the census reports of 2011, the literacy rate in the state is 69.72% as against the national average of 74.04%. This is a noticeable improvement when compared to the literacy rate of 56.27% recorded in 2001. It took a long time for the state government to improve the conditions of education within the state. Public apathy is a prominent scenario in Uttar Pradesh and this gets reflected in the education system of the state. Moreover, poor or even non-existent infrastructure for schools in UP villages further worsened the social backwardness of the people after Independence. There are many prominent private schools and colleges, but the fees in these institutions are out of the reach of common men in Uttar Pradesh. It is only in the recent past that UP has made significant progress in the field of education. The 79.24% of literate men and 59.26% of literate women in Uttar Pradesh has been possible because of the 8,459 schools and 758 colleges in the state which impart high class of education to its people. The medium of instruction in the government-owned schools and colleges is Hindi. English is used only in the private schools and colleges in Uttar Pradesh. 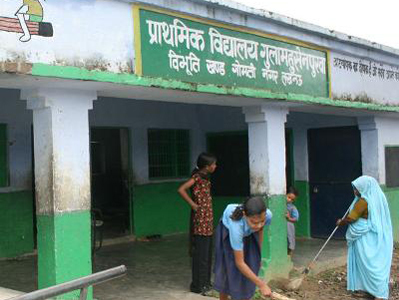 There are a total of 8,66,361 primary schools and 8,459 high secondary schools in Uttar Pradesh. The endeavour of the UP government is to spread education to the remote regions of the state, especially to the villages mired in backwardness. Greater number of schools is affiliated to the Uttar Pradesh Madhyamik ShikshaParishad, also known as the Uttar Pradesh board. 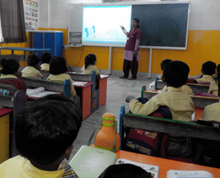 The Indian Council of School Certificate Examination (ICSCE) and the Central Board of Secondary Education (CBSE) curriculum are also followed in some UP districts. There are 18 arts and science colleges and 40 universities in Uttar Pradesh. Students from all over the country come to Uttar Pradesh to earn prestigious degrees from these colleges and universities. Uttar Pradesh, like many other states, has several institutes that offer the best professional courses to aspiring students. You can get a degree or a diploma certificate from the professional institutes and be prepared to face the challenges in the job market. 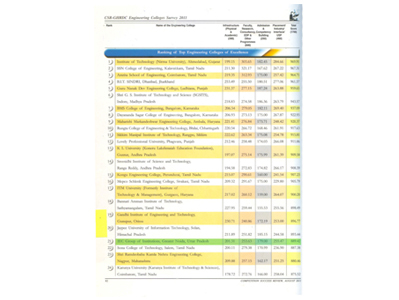 Engineering colleges: Engineering Shobhit University, Allahabad Agricultural Institute, Azad Institute of Engineering and Technology, Aligarh College of Engineering and Technology, BSA College of Engineering and Technology, Babu Banarasidas National Institute of Technology and Management	(Courses: B.Tech, M.Tech, MCA, BE). 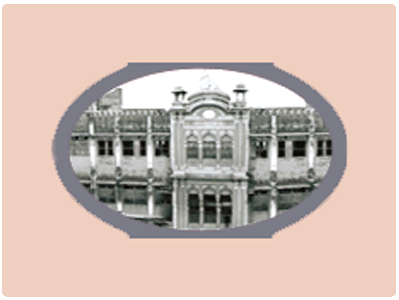 Law colleges: Aditya College of Law, Amity Law School, Aligarh Muslim University, Bareilly College, Baba Saheb Bhimrao Ambedkar Law College (Course: LLB) Medical colleges: Jawaharlal Nehru Medical College, Motilal Nehru Medical College, Maharani Laxmi Bai Medical College, Muzzafarnagar Medical College, Santosh Medical College (Course: MBBS). A number of top educational institutes attract students from other states and even from other countries by showcasing their facilities and expert faculty. Special arrangements are made for foreign and NRI citizens in the UP colleges in the form of luxurious accommodation, tasty food and other facilities to make their stay comfortable. However, NRI and foreign candidates will have to clear an examination before enrolling in the different courses of study. Special foreign cells in the colleges and universities of UP protect the interests of the NRIs, foreigners and the other state students. 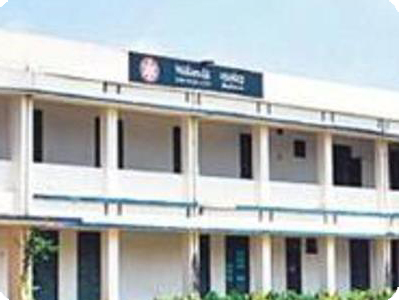 The reputed colleges are equipped with separate hostels for boys and girls. Fees for the hostel facilities are collected from students at the beginning of the semester term. Along with the fees, proper identity proofs are asked to be submitted from every hostel occupant. Besides hostels of different institutes, there are other public and private owned hostels for students in Uttar Pradesh. The prices of private hostels vary depending on the facilities being provided by the owners. Several colleges and universities of UP arrange for student exchange programmes in which hostel arrangements are made by the institute authorities to ensure the safety and security of guest students. In a landmark judgement in August 2015, the Allahabad high court took a serious note of the pathetic condition of primary schools in the state. The court directed the chief secretary to ensure that children (or wards) of government officials, those serving in the local bodies, representatives of people and judiciary, etc., send their wards to these schools. Only then would the officials be serious enough to look into the requirements of these schools and ensure that they are run in good condition, the court observed. A fifth of all elementary school teachers in UP do not have the requisite qualifications to teach young children. The court said there should be penal provisions to ensure that such persons are “compelled necessarily” to send their children to these primary schools. As an illustrative example, the court said such persons would be forced to contribute an amount equal to the fee paid in private schools. This money could be used to improve the basic infrastructure of primary schools, it said. It said this would ensure that the officials concerned become aware of the problems at the basic education level in Uttar Pradesh. Otherwise, the court said, they would not care as they have access to private education in the state. Sending the wards of top government officials will boost the social equation, the court said. It will give an opportunity to children of common men to interact and mix with children of so-called high or semi-high society, giving them a different kind of atmosphere, confidence and other opportunities. This would give a boost and bring revolution in changing society from grassroots level, the court said. It is not difficult to understand why the conditions of these government schools have not improved at all. There is no real involvement of administration with these schools. Any person who has some capacity and adequate finances sends his or her children to elite and semi-elite primary schools, whether it is the district collector or the police chief or any other government servant. The verdict said the government servants would ensure that state-run schools functioned well if they send their children to such educational institutions. The court asked the chief secretary to "take steps within six months so as to make the aforesaid directions applicable from the next academic session" and file a compliance report.